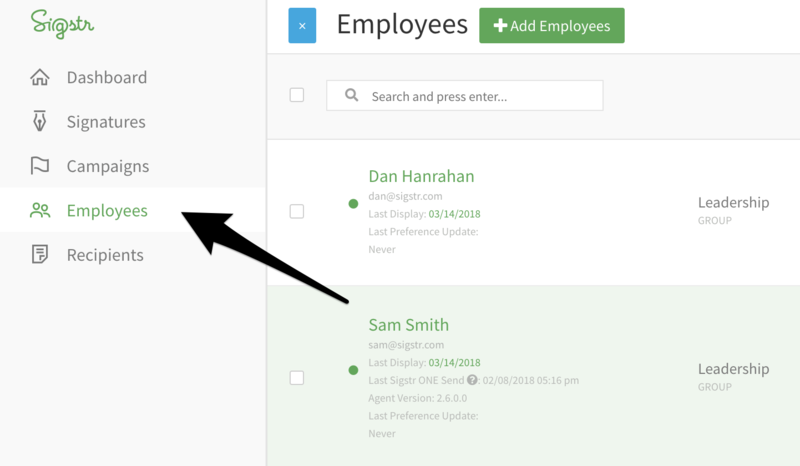 Before deploying Sigstr across your entire organization, it is highly recommended to preview and test employee signatures. Navigate to the Signatures tab. 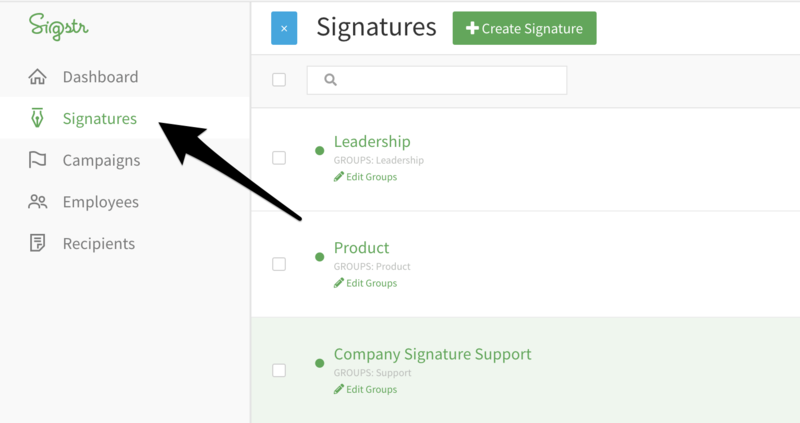 Use the drop-down menu within the preview section to display various employee signatures. Make sure all signatures are displaying correctly and look consistent. After utilizing the preview section to make sure signatures are displaying correctly, move on to installation/deployment testing. Navigate to the Employees tab. Select a small group of individuals to either sync signatures to (G Suite Integration) or invite to manually install. Gather feedback from employees and move forward with full deployment.